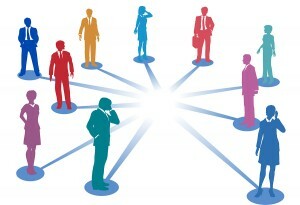 Today, networking is all the hype in the business world. If you have a good position with a stable company, you may think that there is no need to network. However, there are several reasons why you should always be networking, regardless of the status of your current position and company. Believe it or not, there may be better opportunities out there. Even though you are comfortable in your current position, it doesn’t hurt for you to network and listen to other opportunities that may be available. You never know when you may wake up one day, feeling stagnant and bored in your current position. Rather than waiting to start your networking and job search then, it will be easier and more efficient if you already have contacts to follow up with. Managers come and go at companies. Sure, your manager may be great and wonderful to work for. However, what happens if your manager is let go or decides to resign? There is no guarantee that your next manager will be great. Don’t wait until management changes to begin networking. Sometimes it can take months of networking before you are presented with the right opportunity. This can feel like years when working under a terrible manager. What happens if your company starts downsizing or worse, closes their doors? In 2008 and 2009 I was recruiting in the Semiconductor Industry, which suffered a huge downturn with many fabs downsizing and shutting down with little to no notice. A lot of employees in the industry were taken completely by surprise when they were escorted out of the place they had worked for years, with only a few minutes to grab their personal belongings. They never thought things would get so bad, so they had not networked with recruiters or experts in the industry beforehand. Once business started picking back up again, as a recruiter, the first candidates on my go-to list were candidates who had previously networked with me and built relationships with me before the downturn. These were obviously the smart candidates who stayed ahead of the game, proactively answering my calls and emails, sending referrals my way, etc. In closing, regardless of the state of your company or position, make sure that you are always networking. When recruiters or human resource professionals reach out to you, answer their calls and respond to their emails. It will only take a short amount of your time and I promise that it will not be held against you if you turn down an opportunity. Build relationships and network as it will benefit you in the long run. Why have you decided not to network in the past? Please share your thoughts in the comments below.